Sadly, the road for ‘I Am A Feeder’ stops here, as I’ve not advanced to round nine. But that’s okay! Because I made it to the final 24 and that’s pretty darn good! Plus, had loads of fun (and stress) doing it, and though I won’t be getting any extra cashish to help fund my three month trip, I have many more things to be thankful for! Like the super awesome bloggers I’ve met (and had so many silly moments with via. Twitter – to anybody I’ve weirded out along the way, I apologise profusely… and invite you to join in! ), the amazing creativity of all of them, and friendships formed. Thanks to Project Food Blog I’m actually staying with people I’ve never met before, who have opened up their homes to me, offered to show me around their cities, and make sure that I get fed really well. I’m meeting a whole bunch more and if I’m anywhere near you I would love to meet you too! Send me an email or drop me a comment! Round 8, Don’t Be Late! Who’d have thunk it: 8 rounds later and still standing. I’m keeping this one short and simple today because I’ve subjected you all far too much to my ramblings. Please vote for me, help me get through to round 9. When I started this I said, “I’m just as curious as you are to see how far this ride can go” – I’m still curious. Have I got what it takes to be a finalist? Let’s find out. 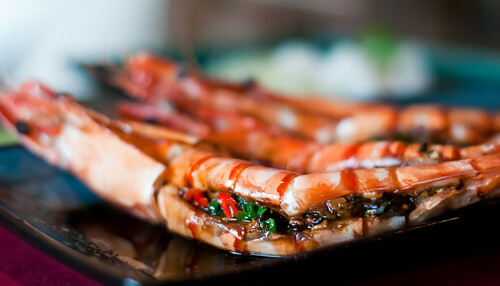 To vote: sign-up/sign in to Foodbuzz.com, click the link below, click the heart above my entry to vote for me. Simples. And whilst we’re talking competitions, a small reminder: if you’re in the UK today is the last day to submit your entry for the Tesco Real Food Christmas Cupcake Decorating Competition! The two winners will get to spend an afternoon with a super secret celebrity chef at The Make Lounge, and ten runners up will each receive a Cupcake Decorating Kit from Tesco’s, which is pretty darn badass. So get submitting! I look forward to seeing your entries. Until next time then, peace and love. 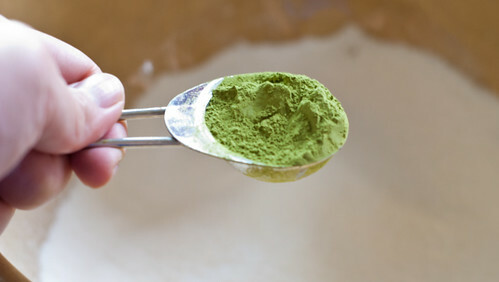 I’m back again for round 8 of Project Food Blog, hosted by Foodbuzz.com and I’m so grateful. Thank you all so much for your support and lovely comments. As the sole representative for the UK/Europe I must say that one is rather chuffed (Edit: Apparently although I’m alone in the UK I’m not alone in Europe! Hi Cristina!). This round we were asked to create a baked good including a seasonal ingredient: pumpkin. Baking and I am not the best of friends. This is more due to my laziness than anything else – I enjoy it, but I’m always the one with the “rustic” biscuits, and it’s because I don’t like to weigh ingredients. Well, not this time. This time I decided I was going to get out the scales, be precise and measure everything, because that’s what baking’s all about: precision. Well, and a bit of magic. 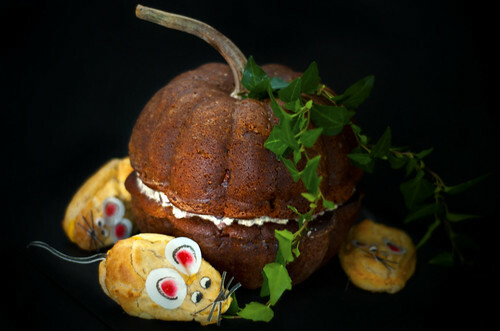 And that’s really where the idea for this came from – one of my favourite fairy tales: a pumpkin cake (with a twist), shaped like a pumpkin, and some little choux pastry mice. And what’s more magic than my very own fairy tale: The Tale of Feeder Lady & The Baking Banquet. So guess what? 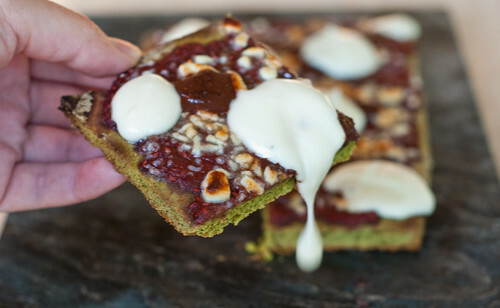 Round 7 of voting for Project Food Blog is finally open! I bet you were wondering what was going on, eh? We had two weeks to complete the challenge, then there was some confusion over the use of copyrighted music so Foodbuzz.com gave all contestants an extra week, and now here we are! I’m sure if you’re a regular round these here parts you’ll have already seen my video, but hey, that was three weeks ago! Go remind yourself already and hey, whilst you’re there, vote for me! 48 are getting cut down to 24 this round, so I would really appreciate your votes! I’m sure I don’t have to remind you how to vote by now, but the gist is this: sign in/up to Foodbuzz, find my video, click the little heart above my entry! Thank you! And now a bonus video, aka. that what did not make the final cut. Enjoy. And so, my friends, I’m back again to thank you for helping me get through to round 7 of Project Food Blog, hosted by Foodbuzz.com and to tell you how much I appreciate it. I can’t even tell you just how much. Thank you for all of your votes and lovely comments! In this round we were asked to create a video of us cooking something, whether from the archives or new. Whenever I think of instructional videos I can’t help but think about when I was growing up and used to watch countless children’s TV shows – in fact I still watch countless children’s TV shows – but one in particular that stood out for me was Blue Peter. Blue Peter is now much changed, but when I was a young ‘un it was THE show to head home to – it was just so cool and you, by association, were at least 5% cooler, too. So for my video entry I wanted to do a little nod to kids’ TV shows. Let the silliness ensue. Roll Up For Round 6! And so we meet again. You know, when I started this competition I never even thought I’d get through the first round, because there were so many awesome and talented bloggers who were competing. And, I’ll admit, I entered on a whim, didn’t calculate how much time and effort I’d be putting into this whole thing, just sorta thought ‘eh, why not’. And then I got through to the second round. And third round. And fourth round. And fifth round. And now I’m here, writing this in my kitchen in London, with the sunshine coming through the windows and blinding me, a massive pot of Morroccan lamb stew for my catering job this evening on the go on the hob behind me, and I cannot believe that I’m asking you to vote for me to get through into round seven. ROUND. SEVEN. I must be doing something right. Does this sound incredibly gushy and lame? Honey, I’ve got news for you: I am gushy and lame: I am lushy; or game. Anyway, do you want to see me go through into round seven, wherein you get to see me on VIDEO being lushy?! I hope so. Help me once more, friends. Vote for me and help me advance one more round in this competition. I would be terribly grateful. Thank you for all of your support thus far – from friends and family, to complete strangers who have embraced me with open (blogging) arms: I’m sending you a huge hug. And Nom Man too! You know the drill by now but here’s the gist: sign in/sign up to Foodbuzz.com, click the link below, click the heart, vote for me. Thank you with all that I am. VOTE FOR ‘I AM A FEEDER‘! See you in round 7…? Peace and love. Project Food Blog Entry 6: Road Trip – More Tea, Vicar? 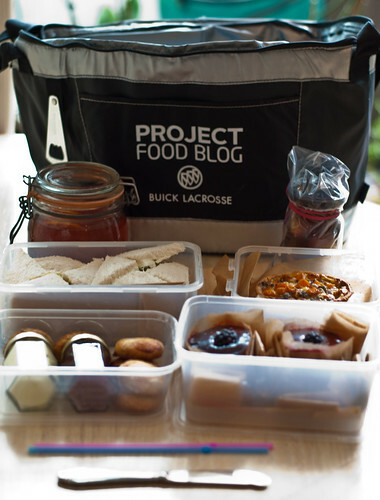 So I guess you guys must like what I do, because I’m through to round 6 of Project Food Blog, hosted by Foodbuzz.com! Thank you all SO much for you votes. Am thrilled to pieces. For this round we were told to create a meal that would travel well for a road trip, including an entree, side, dessert and drink. So when you’re planning a road trip one of the key parts of said trip is transportation, right? Well. Next to food, of course. However, with my car currently out of action the travelling part of this challenge was going to prove tricky, so I got to thinking about where I was going to go and how I was going to get there, and more importantly about what I was going to make to eat. This then led to me thinking about this city I live in, and all of its transportation options, and how freakin’ proud I was to be the only Londoner in this competition… and then it hit me: I have to make High Tea and go see The Queen. And as for transport? My preferred mode is public, because if it doesn’t travel well on a double-decker bus and the Tube then, baby, it ain’t gonna travel at all. Round 5 voting is now OPEN! Woo! Help me get through to round 6 – my special cooler for that round arrived today and it’s totally awesome. Seriously. I spent most of the morning cuddling it. I am that lame. So help me get through to round 6 so that I can actually use it! So now an apology. I know, I keep saying that I’m going to give you all of these wonderful updates and news, and then each week comes around and I, er, haven’t. So apologies for that, and particular apologies to David because he built me not one but two different sites: re-designed my food blog and did my photography portfolio site, and I haven’t even begun to tell you about the latter! But y’know, I want to keep it to myself for a little longer because it deserves the full attention and respect of you, my lovely readers, and with Project Food Blog still in full swing it just won’t get that. But I do want to take this opportunity to say thank you. So thank you, thank you, thank you to David, for his never-ending patience and good will (particularly when I phoned him up quite early in the morning whilst he was still asleep, freaking out about the launch of the blog, and he didn’t say ‘PISS OFF I’M SLEEPING’, he just requested I give him 10 minutes to sort himself out and then made it all work beautifully), his extraordinary talent and hard work, and his full support and encouragement in everything I do. I am more grateful than I could ever hope to express in written form or any other. If any of you need some website work done (or are in the Vancouver BC area and want some photography), you should get in contact with David and tell him I sent you! 1. If you’re a Featured Publisher, click the link below, click the heart and do a little dance, baby, ‘cuz you just voted for me! 2. If you’re not a Featured Publisher, sign in to Foodbuzz, click the link below and click the heart – you’ve just voted for me too! Thanks guys! I appreciate you all and your awesomeness as always. You’ve got me this far, let’s get me one step further! VOTE FOR ‘I AM A FEEDER’! Until next time, my friends, you know the drill: peace and love. O HAI! I’m singing at the tops of my lungs in the flat today as I chop leeks and onions and prepare for my catering gig, and y’know why? Well, for one because it’s fun, but also because voting for round 4 of Project Food Blog is now open! 1. If you’re a fellow Featured Publisher, click the link below and click the heart! Whooomp there it is! 3. If you’re not signed up (but we’re into round 4 now so I don’t know WHY you aren’t), click the link, join Foodbuzz (free, easy, no spam, and we all know nobody likes spam. Well. Except when it’s fried. Yum…), then vote for me by clicking the heart. BOOM SHAKE SHAKE SHAKE THE ROOM. Simples! So come on y’all. Get your votes out, and whilst you’re at it, stick some early 90s hits on and groove. I would approve greatly of that. See you guys on the other side! Peace and love.